In this hands-on workshop, students explore the concepts of heat and temperature through the practical application of making our homes more energy efficient. $3.00 per student *NOTE: Bus subsidies are available. See below. Teacher Led Program led by a teacher, with guidance from Museum staff. Smarter Science Better Buildings is a 2-hour, hands-on program. Students explore the concepts of heat and temperature through the practical application of making our homes more energy efficient. Students also tour Museum exhibits related to sustainable living (homes, transportation, etc.). This is a teacher-led program. Museum staff will provide an introduction to the program. Smarter Science Better Buildings has been developed collaboratively by the Saskatchewan Environmental Society, the Western Development Museum, VerEco Homes, with assistance from Saskatoon Public Schools and Sun Ridge Group. 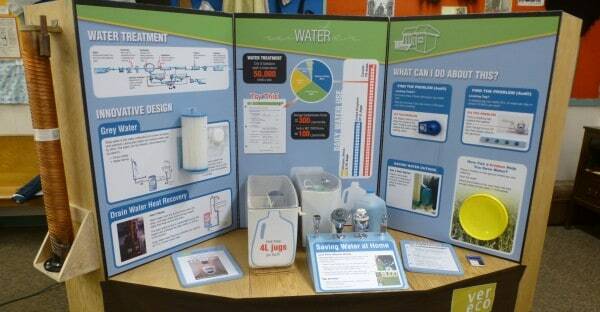 Smarter Science Better Buildings was recognized at the 6th RCE Saskatchewan Education for Sustainable Development (ESD) Event, 2014. The Saskatchewan Environmental Society and SaskEnergy are proud to offer selected coverage for bus subsidies for qualifying schools. Register for the Smarter Science Better Buildings program by the application deadline for the WDM you wish to visit. Once all applications are accepted by the Museum, names of participating schools will be shared with the Saskatchewan Environmental Society who will then determine the recipients of bussing subsidies. Teachers/schools are responsible for contacting transportation companies and booking their own bus. 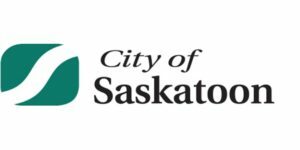 Schools will be notified of approval by the Saskatchewan Environmental Society. Please direct questions about the Bus Subsidy Grant Program to the Education Department at the Museum you wish to visit. Science 7 plus integration with Social Studies, English Language Arts, Arts Education, and Mathematics. Please print one Student Package for student group and bring to Museum (for details, refer to page 3 of the Teacher Manual). Thank you to Solatube International Inc. for the donation of a light tube for the Lighting and Appliances display.